The Federal Housing Administration announced Monday that it will reduce the annual mortgage insurance premium (MIP) on certain forward mortgages by a quarter of a percent. While there are no immediate plans to reduce MIPs on Home Equity Conversion Mortgages (HECM), the agency said it is taking a “wait and see” approach before considering any premium cuts for reverse mortgages. FHA is reducing its annual MIP by 25 basis points for most new mortgages with a closing/disbursement date on or after January 27, 2017, according to Mortgagee Letter 2017-01 published Monday. The premium reduction revises annual MIP rates for certain FHA Title II forward mortgages. Monday’s action an “appropriate measure”and the result of the FHA’s mission to support middle class American families on their path to homeownership, said Ed Golding, principal deputy assistant secretary for the Department of Housing and Urban Development’s Office of Housing. 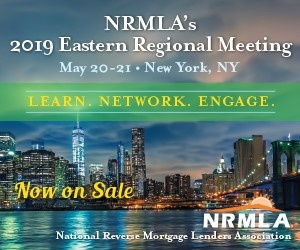 As for HECMs, which were excluded from ML 2017-01, FHA is waiting to gauge the effects of program changes implemented in recent years before considering an MIP reduction on agency insured reverse mortgages. FHA’s decision to reduce premiums reflects the fourth straight year of improved economic health of FHA’s Mutual Mortgage Insurance Fund, which gained $44 billion in value since 2012. Last year, an independent actuarial analysis found the MMI Fund’s capital ratio grew by $3.8 billion and now stands at 2.32% of all insurance in force—the second consecutive year since 2008 that FHA’s reserve ratio exceeded the statutorily required 2% threshold. As a result of the 25 basis point reduction in annual MIP, FHA projects its new premiums will save new FHA-insured homeowners an average of $500 this year. With mortgage rates rising in recent recents, lower premiums will make home loans more affordable, said Ed Brady, chairman of the National Association of Home Builders (NAHB) and a home builder and developer from Bloomington, Ill.
“The new premium structure will also help to ease stubbornly tight credit conditions in the mortgage market, and represents sound policy given a recent actuarial report that shows that the agency continues to strengthen its financial reserves,” Brady said in a statement issued Monday. While news of the MIP reduction was welcomed by mortgage and housing industry groups, who applauded FHA for its decision to cut premiums and the positive impact this will have for borrowers, future uncertainty lingers. Read Mortgagee Letter 2017-01 here.